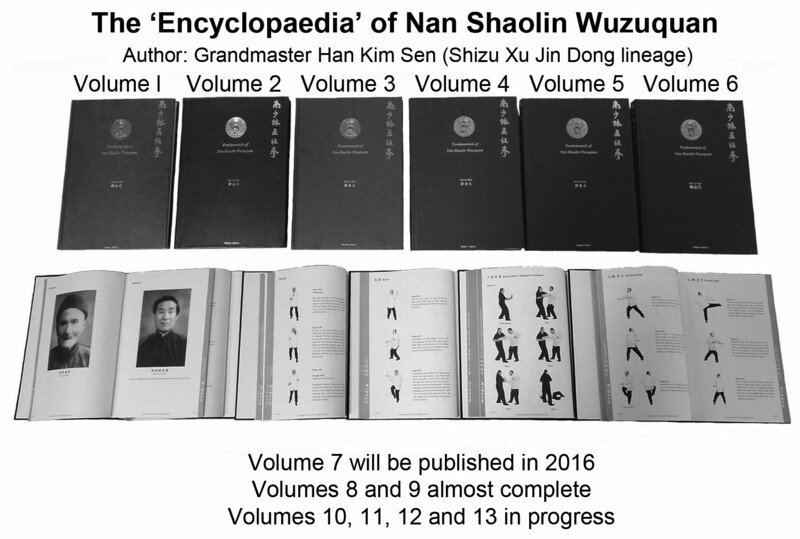 We are very pleased to show the series of Nan Shaolin Wuzuquan books written by Shigong (Grandmaster) Kim Sen Han. The author Shigong Kim Han, has been acknowledged as Grandmaster, at 10th Dan level, by the most senior panel of masters at the centre of Nan Shaolin Wuzuquan in Quanzhou, Southern China. He is highly respected as one of the most knowledgeable experts in this field of martial arts. 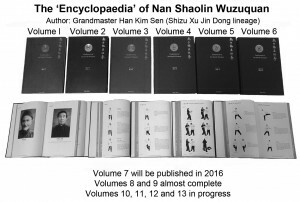 These books detailing the Nan Shaolin Wuzuquan System are sought after the world over including the Nan Shoalin masters in China itself. Shigong Han is writing the series detailing the art of Wuzuquan as taught by Shizu Chee Kim Thong of Malaysia hiself declared a National Treasure by the Chinese Government.